As the percentage of older Americans has rapidly expanded in recent decades, one of the major challenges has been providing access to adequate dental care for this demographic. 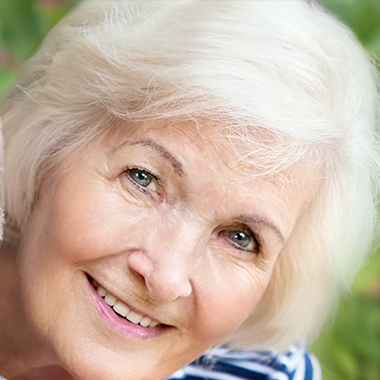 As an important part of a healthy aging process, good oral health is imperative for older citizens. Policymakers, geriatric health care professionals, and especially dental care providers have been actively involved in the ongoing conversation of how to provide access to appropriate service for this group. Dental care access has often been difficult to define, a challenge which has led to insufficient opportunities to care for many older Americans. At its most basic, access to care is defined as “the timely use of personal health service to achieve the best possible health outcomes.” However, simply having insurance or even a geriatric dentist in the neighborhood is not an adequate guarantee that patients are receiving the services they need. There has been growing concern about our nations current ability to meet the standards defined in this successful access triangle. In the past few decades, several calls to action have been issued to the various parties involved in this challenge. In some regards, these actions have proved successful. In general, many independent elderly adults have effective access to dental care. Increasing numbers in the use of dental services by older patients further supports this optimistic trend. However, there are a number of unique factors shared by those with consistently effective access, including having dental insurance, being able to afford care, having mobility, the ability to effectively communicate with office staff, and others. Clearly, there a large number of older citizens who do not enjoy the same efficacy of access. In fact, there are large groups of older adults who do not have access to the dental services which they need to support their oral and overall health. These “vulnerable elders” include, but are not limited to, those who are: poor, lack insurance or mobility, have lost all of their teeth, do not believe they need care, have difficulty communicating, or have functional and cognitive impairments. Based on this assessment, it is clear that more responsive actions are necessary. From the education and training of the dental workforce to focus on geriatric dentistry to reimagining the current dental care delivery system, true process will take a multifaceted approach. Dr. Kauffman continues to be a leader in this development and implementation of better systems of dental care for elderly patients. There is no time to wait to begin addressing the issue of effective access to dental care for elderly patients. Good oral health is strongly linked to benefits throughout the patient’s life, from the reduction of premature morbidity and mortality to the preservation of function and overall quality of life. As our nation’s demographics continue to shift in favor of a larger elderly population, continued action and reevaluation will be necessary. IS DENTAL WORKFORCE WELL PREPARED IN GERIATRIC DENTISTRY?